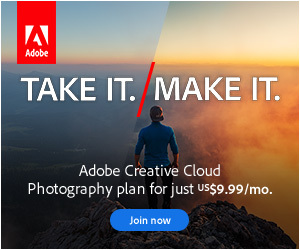 Members Area Help > How do I use Adobe Connect for a support call? A web browser such as Internet Explorer, Safari, Firefox or Chrome. I’ll send the meeting link by email in preparation for our appointment. Just before the call, click the meeting link and enter your name as a Guest. The call can be recorded at your request, so you can refer to it again later. Close the tips box by clicking the X in the top-right corner. While you’re waiting, click on Meeting in the top left corner and run through the Audio Setup Wizard to ensure that we can hear each other. Click the microphone icon so it turns green, otherwise I won’t be able to hear you. There’s also a Chat box where we can type messages if we get stuck! If you’d like to video chat, let me know and I’ll enable it. When we’re chatting, I may ask you to show me your screen, so we’re looking at the same information. To do so, click the Share My Screen button in the center. The Connect window shrinks down to a small toolbar. I may also ask to control your screen, with your permission. If so, the alarm icon on the right shows a red icon. Click on it to accept. You remain in control and can cancel screen sharing at any time by clicking the green monitor icon and selecting Stop Sharing.